Don't try this at home kids! 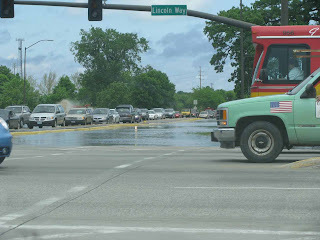 People were actually driving through the flood waters, the water covering the road (facing north across the intersection) came up in ;ess than a half hour. The guy in the bus is my husband John. Older PostA River Runs Through It!! !